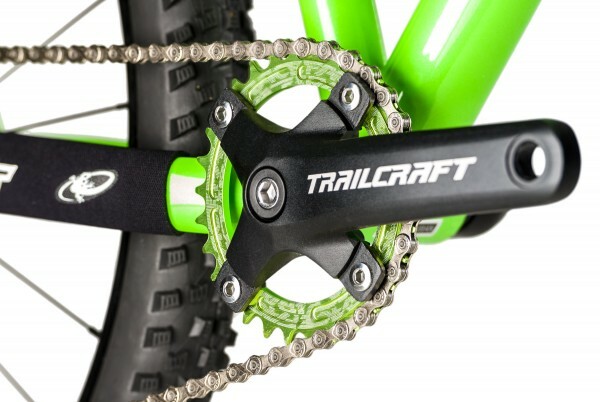 If you are looking for an easy and inexpensive upgrade to give your kids the proper crank length for a 24" wheel bike, the Trailcraft 152mm 104 BCD cranks can help! Many kids 24" bikes are spec'd with long 165mm cranks which is tough for the little guys and girls to turn over. 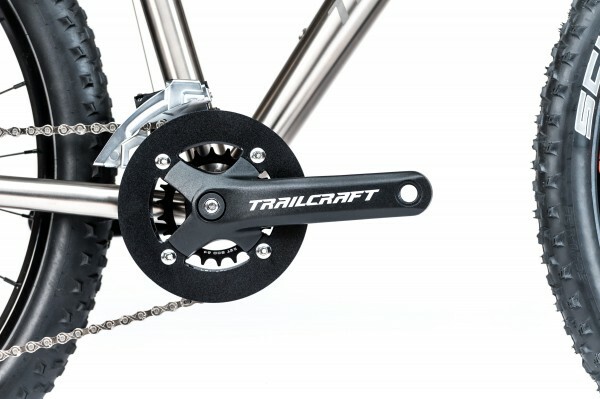 The Trailcraft cranks can be purchased as a 1x10 or 2x10 option with a 22x32 and outer bash guard. The 1x10 option is sold with a Race Face 30T narrow wide chain ring in your choice of anodized green, black, blue, or purple for that extra special customized look. Wishing everyone a wonderful fall season on the trails!